N96 is a good mobile, do not follow some below critics of people who seems to earn almost every mobile. I use it almost one week, slowly have all needed configured as I want and it is not bad at all. whats DVB-H TV tuner function on the N96?? does this mean u can watch TV in it??? does N85 have the same thing??? well after playing with a friends mobile for a while, I really need to disagree with some people here. n96 specializes on mobile tv and video. yes, it is an all-in-one device and it can do anything that other nseries do but not as good. it's camera is no better than n95. it's sound quality is good but not as good as n91 or n81. it plays ngage games but it lacks a 3d graphics accelerator which is present in n95. tv & video playback is where n96 is specialized on. 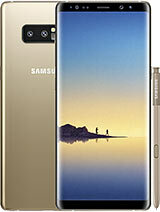 i think if i buy this phone ! nokia will relase a new phone afther 3 or 6 mont and i will so sad and i must sell this phone and buy that new and better phone is to hard for phone's with this pirce ! much price and all the time new and newer and mucher price ! Anonymous, 09 Oct 2008very good mobile, the N96 is a slow reacting phone with alot of meomroy. the processor can not keep up with the phone. The N95 8gb alot better my phone of chocie or even the N78 again a vrey good handset that has been well built and designed. tom garcia, 08 Oct 2008hey dude, with 10 as the highest...how can u rate your n96 phone?I got this phone a week ago and was back at the shop the following day having a real moan. What was wrong? More a case of what wasn't wrong. But I have persevered. And slowly (very slowly) I am warming to it. The dreaded battery life problem hasn't materialised - I just make sure I close all applications immediately I have finished. The camera quality is acceptable (if I am taking any important pics I will use a camera. And if want to send em via mms the phone will shrink the file anyway so it's not that important). Dvb -h ? Well if its going to be anything like the bbc i-player I can live without it (over an hour to watch a half hour programme. Loads of buffering). Video quality is superb(if you put change the setting to the highest). My only complaint really is reception. I can have my n73 and n95 open next to the n 96 and the 96 will not connect to the internet whereas the others do. And when it will connect it takes up to three minutes to download a 2mb file. Shoe reception is poor too. Cheap and plastic? Definitely not cheap but plastic yes. Not poor quality but glossy. Very samsung-ish. Bling ! ! This is an honest opinion from a guy who HAS got the phone. Oh the 'breathing' light -why ? Nope, not all that says negative comment about this phone can't afford to buy one. Even this site's review says number of negative comments of this phone as being outdated. We like to spend our hard earned money to something that will feel an upgrade for us. Like me, many people will read and base their purchase on reviews. Being that so expensive (top of the line Nseries?, most of us didn't get the reason why Nokia degraded the battery, camera performance and cpu and just upgraded the memory and added mobile tv (not that useful) to existing 5meg Nokias. And oh, the design is oh, oh, oh my. Nokia, next please. I just read the reviews of the 96 on gsmarena & cnet, and what a spray, they gave it a shalacking. I don't think it will recover. And, really, the 96 is sooo ugly, even I would look good next to it! Is NOKIA in damage control? I've been all cashed up for this baby and NOKIA give it 128MB RAM & a 264 MHz CPU. Sorry, then, the Xperia X1 it is. Does this charge when you plug it into a USB port? I plug my iPhone into my laptop to charge it so only have to use one charger in my car. Just Nokia N96 haven't IC port!All else is best!!! tom garcia, 08 Oct 2008they critized it coz they do not have enough money to buy that expensive mobile.they r just di... morehey yah all punks out there!!! guess what??? i already got one...and i'm loving it punks.now i know that all negative comments here are just all lies.bwahahaha!!! !maybe some of you here doesn't have enought money to buy one...bwahahaha!!! !peace punks! another thing that n96 makes it feel outdated is the processor. don't you know that n96 has the same arm 9 264mhz processor of the very old n92??? that processor is already 3 years old. oled display on s60 is until just recently. n85 which has it is not yet even released. so understandbly, n96, which was in process of being developed into finished product months ago, does not have oled display. same holds true for fm transmitter. nokia has not yet acquired fm transmitter chips before n96 was created. naviwheel on n96 is deactivated in the firmware but n96 has the naviwheel hardware. maybe in the next major firmware update after the bugs are fixed they will activate the naviwheel. i've read also that n96 has 950mah battery because during the time n96 was being made, 1200mah or any larger battery was not yet available. it only means that n96 was first made before n95 8gb. it just took so long to develop this device into finished product. that's why n96 feels kinda outdated right now.